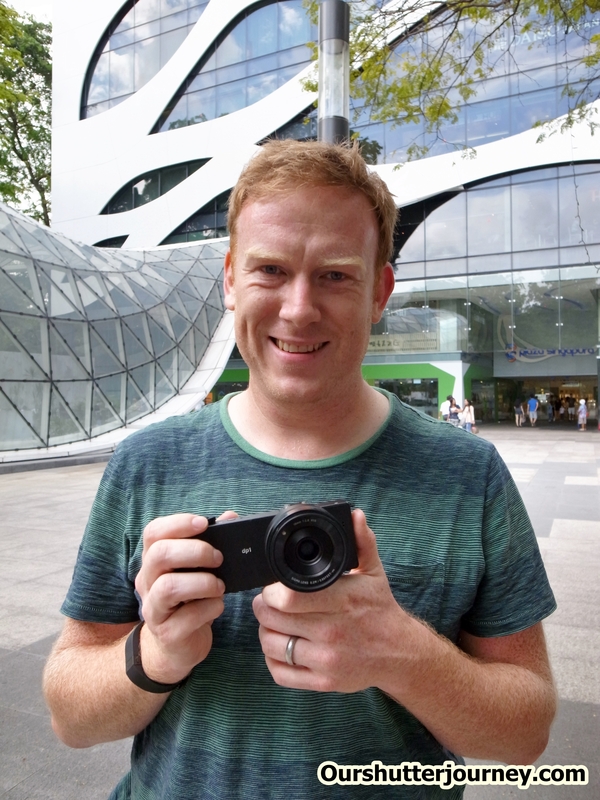 24th March 2015, Singapore – Since our last review on the the Sigma DP2 Quattro, we had been waiting for the DP1 Quattro and the DP3 Quattro. Our speculations came to an end when Sigma called me and requested me to pick up the DP1 Quattro. If you have been following the DP Series, you would already know what this monster of a compact camera is capable of. Before I go on, if you found your way here looking for technical details or specs then too bad, we are not interested in that – but only how the camera will perform based on end-users’ feedback. For those that (really?) knew nothing about the DP Quattro series, here’s a quick brief. The previously released DP2 Quattro came with a 30mm lens (about 45mm on full frame format), this DP1 Quattro came with a 19mm lens (about 28mm on a full frame) and the incoming DP3 Quattro (It’s already on our review in-tray) which came with a 50mm lens (about 75mm on full frame). Apart from that, all 3 Quattros shared almost 75% of the specs. All 3 Quattros has an aperture that opens from F2.8 to F16, DP1 & DP2 gets a 9 blades aperture while the DP3 gets the 7 blades. And due to the different lens configurations, the the DP1 Quattro gets 9 elements in 8 groups which is pretty usual for wide angle applications. (DP2 8/6 & DP3 10/8). Focusing wide, the DP1 Quattro gets to focus the nearest (20cm) among the 3 Quattros with a magnification ratio of 1:8.3 – not bad if you ask me. Weight wide, the DP1 Quattro is neither the heaviest nor the lightest of the 3 Quattros (at 425gm). All 3 Quattros uses the same legendary & unbeaten 33 megapixel Foveon X3 DIS CMOS sensor, accepts fast SD Cards, and every other specs are the same throughout the 3 Quattros. I’d heard and read a great deal about Sigma’s DP-series of cameras before being given the chance to review one and I’m sure you’ve seen pictures of the camera – it’s certainly eye-catching. With it’s unique physical design, shooting limitations, novel sensor and highly regarded image quality its reputation certainly preceded it. This was one camera I was EXTREMELY excited to get my hands on! Handling it for the first time my first feelings were that I was going to be using something out of TETRIS to take photos. Whatever the technical reasons for it’s design it just looks & feels absolutely batshit crazy! That’s just the basic camera too, add on the optional LVF-01 viewfinder clipping over the LCD screen you end up with an absurd looking machine. Having said that, it’s solid & weighty in the hand and although it’s slightly heavier on the lens side, it’s definitely one-hand holdable and the slight imbalance of weight doesn’t interfere with shooting. The design ethos is definitely minimalist with two metal dials on the top of the camera, a 3″ LCD screen on the back flanked by a few function buttons and a mini D-pad control near why my thumb naturally rested. The manual controls all feel reassuringly engineered with no slippage in the dials and there’s nothing too close to your fingers to accidentally press when shooting. Overally, the minimalist layout works well and the unusual shape isn’t uncomfortable or impractical as I assumed it would be. The DP1 has a fixed 19mm lens with a FOV equivalent to 28mm on full frame. This puts it in the same general category as other fixed lens, large sensored cameras such as Fuji’s X100 series so I took to the city and devoted a whole day to putting it through it’s paces shooting street & landscape scenes. The lens itself is very good indeed and the bokeh shot wide open at f/2.8 is very nice. It maxes out at f/16 but with an APS-C sized camera you’ll most likely want to keep it below f/10 to avoid diffraction blurring. The camera also doesn’t have a low-pass filter either, similar to the Canon 5DSR and the old Nikon D800e so resolution & sharpness should in theory be excellent. Chromatic Aberration can be an issue though, check out the image quality section for samples. I’ll begin my review with a conclusion – shooting with the DP1 was 80% fun and 20% frustration! The whole experience reminded me of shooting film in many respects and I’ll discuss why. One of the quirks of the camera is it’s astonishingly poor battery life and the reason for the aforementioned inclusion of two batteries. This is partly because of the large rear screen but the main drain on the battery lies with the sensor. Sigma rates each battery at 200-250 shots but my personal experience is that far, far fewer juice was available with only about 150 between recharges. After dark it’s even worse. My review unit also only came with a single battery so I was constantly nursing the camera to make sure I could make it through the day. Shooting for a full 8-10 hours required thinking ahead – I took the charger with me and had to plan my photowalk around a range of coffeeshops who would kindly let me recharge the battery! As a result of the limited battery life it forced me to take an approach akin to shooting film. I’d either turn off the camera completely or shut off the screen, forcing me to take my time considering each shot but at the expense of being able to react quickly to changing scenes. Another niggle related is that the sensor & electronics get hot during operation, very noticeably so. The door-wedge design is also thought to be partly in response to this, designed to dissipate heat. Another limitation relates to image quality, in particular the useable ISO range. In a nutshell, there isn’t really a useable range! ISO 100 and 200 are pretty good with what little noise being fine-grained and largely irrelevant. You can stretch to 400 on occasion but I only found 800 to be useable in certain isolated cases. Converting to monochrome helps a little at these higher ISOs but after trying the camera on AUTO ISO and seeing otherwise good shots ruined with noise, every time after that I took a considered approach to setting the ISO. Again, this mirrors shooting film! An unfortunate side effect I found was that it limited some of the types of scenes I wanted to tackle, like street photography. Even on a sunny day it was hard to keep a low ISO & fast enough shutter with many otherwise interesting scenes coming out too noisy or not sharp enough. I’ll show examples of high ISOs in the image quality section but it’s important to note here how it will impact your use of the camera. When the conditions are right though, it can produce some cracking photos. The battery life & the poor high-ISO capability are probably the two biggest limitations of the DP1 but there are other quirks & features that spoil the experience at worst and force a particular style of shooting on you at best. Having only a fixed rear LCD is obviously a disadvantage, doubly so because of the need for good light during the day to keep shutter speeds & the ISO manageable and the fact it drains the already rubbish battery quickly. Likewise, the autofocus system is good in sunlight but slow to lock & frequently inaccurate after dark. In fact, at night it can take many, many attempts to lock auto-focus and the manual focus system isn’t particularly good. The metering system is reliable with standard spot, evaluative and centre-weighted. Image files are larger than what you might be used to as well by virtue of the sensor & quality options. RAW and JPG are of course present but the DP1 alos has a “superfine” JPG mode as well – though choosing superfine prohibits you from saving RAW at the same time. Superfine is basically an interpolation of several JPGs to boost apparent quality & resolution but although there are noticeable improvements when it comes at the expense of shooting RAW I personally found I’d opt for the latter. The size of the files also presents another problem when it comes to continuous shooting and the internal frame buffer. Though the camera displays it’s maximum of 7 shots before the buffer fills I often found that with RAW + JPG enabled, the first three frames were fine but there was a noticeable lag for the final 4 shots before the buffer filled completely and the camera locked up. RAW files from the DP1 are yet another problem though. Sigma have taken the baffling decision to opt for the proprietary X3F format with the outcome that only their own Photo Pro software can read them.. and Photo Pro is an astonishingly slow & unintuitive application. It doesn’t help when even the latest version of Photo Pro randomly fails to open RAW files too. Sigma really, REALLY need to invest the time to make the cameras DNG compatible or at least give 3rd party applications the ability to process the X3F files. The crappy software is a real shame because the RAW files do have a lot of potential. The preset processing options are limited to common themes (landscape, vivid, portrait etc) and are useful to give an idea of possible processing options but the whole process of developing your RAW file is so slow to render I found myself trying to get everything perfect in camera so I didn’t have to open Photo Pro. You could probably argue that’s a good practice to be promoting, albeit for the wrong reasons! Yet another parallel with film photography & development! Focusing is another mixed bag. In good conditions the auto-focus is very capable but those same conditions often mean it’s so bright that viewing the LCD can be tricky. Once the light diminishes so too the AF performance drops off a cliff. Focusing is slow, inaccurate and it takes a lot of patience to lock on. Manual focus is dreadful. The LCD has fewer than 1 million dots so even the enhanced picture doesn’t help and it lacks focus peaking. Best to stick to AF and be patient. With all of these attributes it would be easy to paint an overly negative picture of the camera, implying it has so many negative aspects it’s practically useless. Although the flaws are many and can be intensely irritating at times, the camera does have charm. When you approach shooting with the proper mindset & use the camera to make the best of it’s strengths it can be an extremely rewarding experience. Though not exclusively limited to landscape photography the DP1’s strengths certainly nudge it towards excelling in that area. Sigma & their fans are very vocal when it comes to their output and they aren’t afraid to bandy around terms like “unsurpassed”, “medium format quality” and other extremely lofty statements. With all of the negative aspects the camera needs an ace in the hole! The good news? 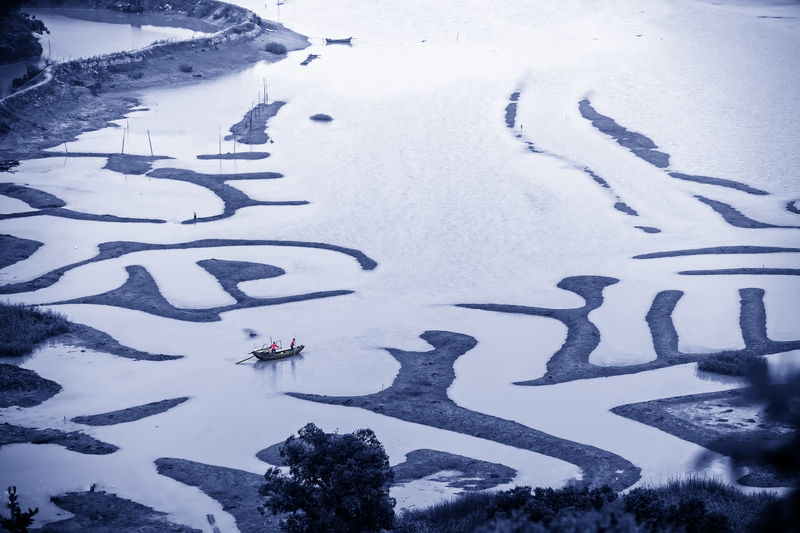 When you take your time with the DP1 it can give some awesome results! Check out the sample images below to see just what it can do. All images are straight out of camera JPGs unless otherwise stated. I’ve tried also to use high resolution images where possible. Photo: David having fun with the Sigma DP1 Quattro. The entire DP-series cameras are strange beasts. They have serious flaws but can produce seriously good images. They are fun & frustrating at the same time, but also force a broadly positive mindset change when using them. The certainly encouarge patience! Their price – £899 in the UK, S$1700 in Singapore – effectively forces them into a niche but their strengths also make them excel in that niche. If I were more serious & dedicated to my landscape photography then I would absolutely consider them as an option, simply because when you do get a good picture it ends up being a GREAT picture. S$1700 is a long way towards either another camera, like the X100T, or a lens. The other thing to consider is that with cameras like the 5DSR are now showing what SLRs without anti-aliasing filters can achieve my feeling is the DP niche continues to narrow. My fear is that the gap between the DP1 and rival DSLRs image quality is narrowing the flexibility and overall maturity of the DSLR will consign the Foveon sensors to the history books. I tempted to get one for when this camera becomes a collector’s item in years to come. As a working camera my heart would love one but my head can’t justify it. This entry was posted in Brand: Sigma, Featured Photographers, Group Test & Reviews, Photography Articles & Videos and tagged David Candlish, DP1 Quattro, Featured Photographer, Photography Reviews, Sigma. Bookmark the permalink.